MAZAHUA FRENTE is a short documentary that follows a rural indigenous community’s fight for water. Since the expansive Cutzamala water system was built to supply Mexico City 30 years ago, the surrounding rural communities have fought for access to the system. One group, the Mazahua Frente, temporarily stopped a chlorine truck needed for water treatment in 2004 as protest. Today, their fight continues. The film follows as the Frente plans another major protest. 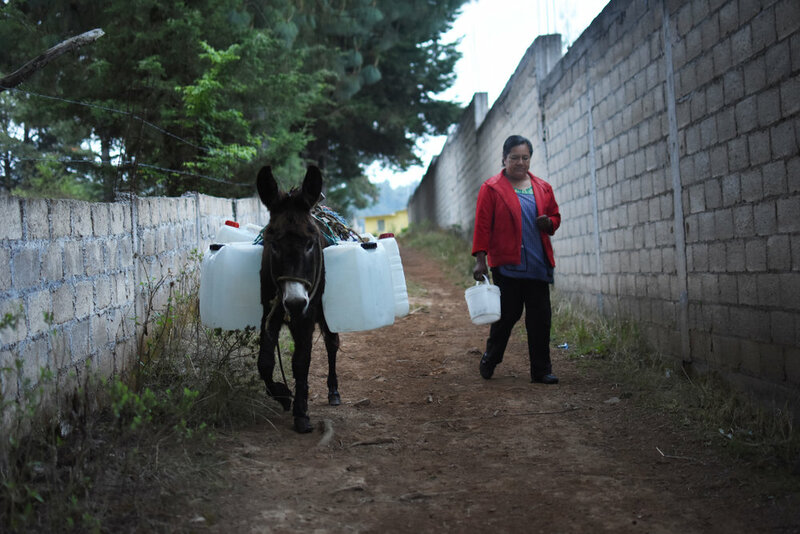 It also provides a glimpse into the lives of women who literally carry the burden of lack of water on their backs, despite having the Mexico City’s water system in their backyards. This film project is made possible by grants from the Pulitzer Center, Smith/Patterson Science Journalism Fellowship, Institute for Journalism and Natural Resources and the University of Missouri's Duffy Fund. Translation by Aldo Casas, Taylor Twellman, Juan Pulido and Hughes Ransom. Margarita Reyes takes a break after finishing her typical water gathering routine, which requires her to haul a large pump down to a nearby river. Reyes has lived on the same property her entire life and has watched the Cutzamala System invade her community. She has never had running water in her home despite the system being so close. 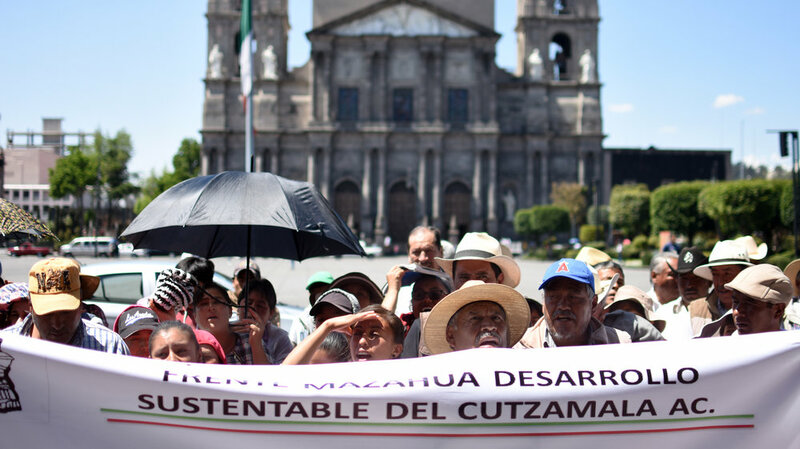 Members of the Mazahua Frente chant during a protest outside the governor’s building in Toluca. The group demanded to meet with the governor to discuss their community needs. Women clean laundry in Villa Victoria, which is one of the ten dams within the Cutzamala System sub-basins. A third distribution line is being built to “reduce the number of service interruptions caused by reparations to the pipeline network” (World Bank, 2015). The Cutzamala System was built in three stages, beginning in the 1970s. The system elevates water more than 1,100 meters to reach its destinations of Mexico City and Toluca. The complex system includes seven reservoirs, six pumping plants, 322 kilometers of canals and tunnels, and one large water treatment plant. The treatment plant was the location of the Mazahua Frente’s recent protest (World Bank, 2015).